HomeNAMM 2019Voltage Modular 1.2.3 Features New Sampler/Oscillator Modules & New PSP Audio Add-Ons! For the NAMM 2019, Cherry Audio released a lot of new add-ons for Voltage Modular including two new samplers, a classic oscillator and a remote control module that let you control any knob of your setup. Also at NAMM, PSP Audio has released a new suite featuring 8 polyphonic modules including ADSR envelope, AMP, filter, wobbler and more! 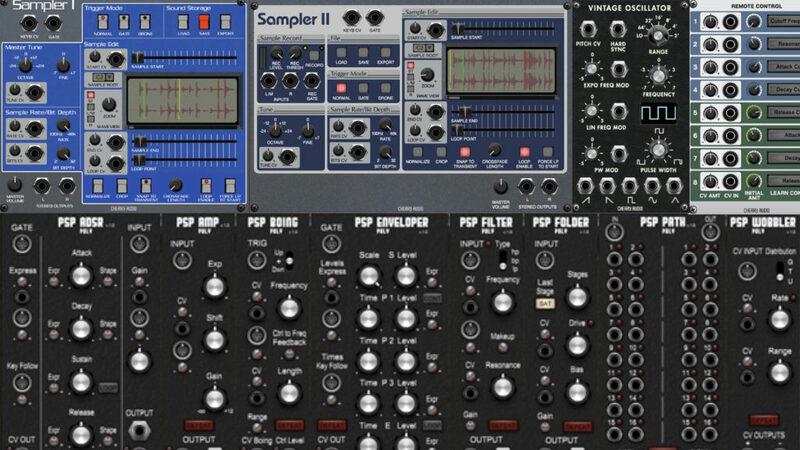 Sampler II ($10) includes all of the features of Sampler I, plus real-time stereo sampling. Sampling can be triggered by input signals that go beyond an adjustable threshold, or can be started and stopped with CV via the REC GATE input. 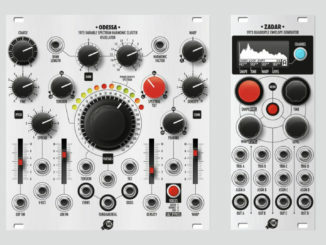 Sampler II can even resample itself, by feeding its outputs into its inputs. With Sampler II, it’s possible to build generative patches that sample and loop themselves as part of the patch, which can lead to some mind-blowing possibilities. 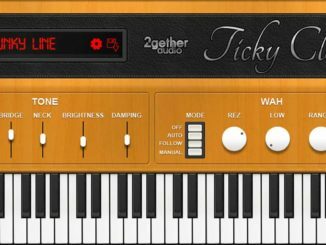 Vintage Oscillator (free for Voltage Core owners) This module offers all of the features of our standard Oscillator module, plus a 64’ setting and linear frequency modulation. 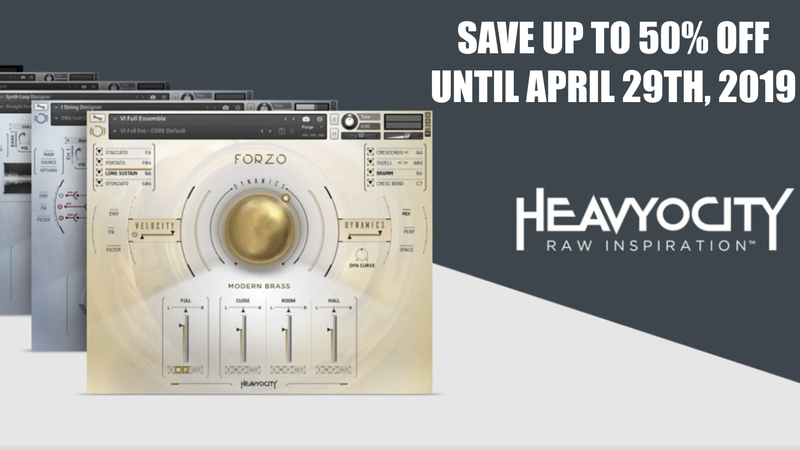 But under the hood, this module recreates the imperfect waveforms created by vintage analog oscillators. Featuring low-aliasing, high-performance oscillator models, plus subtle analog drift and imperfection, the Vintage Oscillator module will add classic tone to your modular patches. Remote Control ($15): With the Remote Control module you can control any knob, slider, switch, or button with CV, including the macro knobs in the Perform panel. Mapping a channel to a knob is just a matter of clicking the Learn button and then touching any control in your project. That control will now be fully automatable with CV. 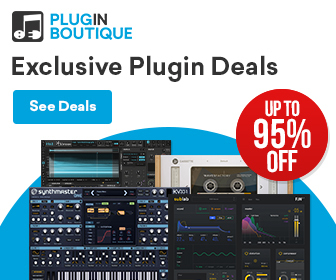 Cherry Audio has also announced that Voltage Modular is available now at Plugin Boutique. To celebrate this, you can save up to 50% OFF on the Voltage Modular bundles. Arturia AudioFuse Studio First Look: The Big Brother Has More I/O & Bluetooth Audio! 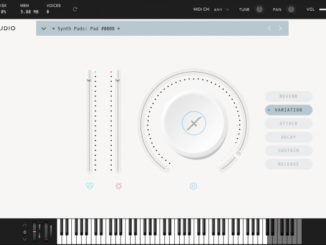 Spitfire Audio Released Synth Pads Free Expansion For The LABS Series!